A western North Carolina man who remembers seeing the construction of the Blue Ridge Parkway is donating and selling land he owns to help expand its protected landscape. The Conservation Trust for North Carolina announced yesterday that Joe Arrington has donated a 46-acre parcel of land in Haywood County. In April, he sold a 64-acre tract to the same group. The combined tract, called Richland Creek Headwaters, is adjacent to the Parkway in Haywood County, near Milepost 440. It's part of a larger piece of land bought by Mr. Arrington's family in 1936, before Parkway construction reached the area. Thirty of the family's 188 acres were condemned and used for the road project. Richland Creek Headwaters provides a spectacular backdrop for Blue Ridge Parkway travelers – especially from the Waynesville and Saunook overlooks – near the boundary of Jackson and Haywood counties in the Great Balsam Mountains. CTNC plans to convey the combined property to the National Park Service for inclusion in the Parkway's boundary, possibly by the time the Parkway marks its 75th anniversary in September. Originally scheduled for yesterday, the reopening of the Sinks Parking Area in the Great Smoky Mountains has been delayed until Saturday. The Sinks is a popular roadside waterfall located on Little River Road between Metcalf Bottoms Picnic Area and the Townsend Wye. The small, narrow parking area at the waterfall is difficult to maneuver vehicles in, leading to traffic congestion and confusion. The improvement project will consist of the removal and the replacement of the existing Sinks parking area. The construction of the proposed 7,400 square foot new parking area will include the installation of 21 paved parking stalls, the construction of approximately 500 feet stone masonry retaining walls, approximately 150 feet new 3-foot wide walkways, 230 feet new 8-foot wide walkways, a new overlook area with a masonry wall and handrail, 350 feet new stone curbing and the installation of a subsurface drainage system including inlet structures and pipe culverts. Miscellaneous work associated with this project will include the installation of new signs, the application of traffic markings, and turf establishment. Once reopen, hikers will again have access to the Meigs Creek Trailhead. The Blue Ridge Parkway Guide is reporting that the Peaks of Otter Campground on the Blue Ridge Parkway, at Milepost 86, now offers campers the option of reserving campsites. The campground has been added to ReserveAmerica, a company that provides online campsite reservation processing for private, state and federal campgrounds in the United States. About 40 percent of the campground’s sites are available for reservations. The remaining sites are first-come, first-serve. In addition to the Peaks of Otter, the following campgrounds take reservations: Mount Pisgah in Waynesville, North Carolina, Linville Falls near Spruce Pine, North Carolina and Julian Price in Blowing Rock, North Carolina. The Parkway also plans to add Rocky Knob campground in Floyd, Virginia and Doughton Park campground in Laurels Springs, North Carolina in the future. Can we get an outdoor adventure channel? Those lyrics are spot on. Maybe it's just me, but cable TV is absolutely horrible anymore. Except for NCAA Basketball, the Tour de France, a weather update, the news and an occasional movie, TV has become increasingly unwatchable. I have no desire to keep up with the Kardashians. I don't need some abrasive British dude to tell me who the next invented American Idol is. I'm tired of watching Man Versus Food, Myth Busters and Deadliest Catch marathons. When was the last time network TV had a sit-com that was actually funny? I know the chances of someone from one of the big cable networks reading this blog is next to nil, but maybe the "7 degrees of separation" theory will prevail in this instance. If anyone knows of anyone that works for ESPN, Disney or the Discovery Channel, could we ask if there's anyway that we can get a channel dedicated to the great outdoors? I'm not referring to more fishing and hunting programs, I'm referring to programming centered around adventure. There's already plenty of content that could be used as filler as this point - such as Bear Grylls (which I don't care for), Survivorman, or the handful of reality type shows that have been on Discovery, such as the Alaska Experiments. The Travel Channel has also produced a few programs on various national parks that would be a great fit. The channel would also be a great place for films from the Banff Film Festival or the Reel Rock Tour to land after their respective tours are over with. My vision for such a channel would include "how to" skills programs, outdoor travel destinations, and programs that focus on an array of different pursuits, such hiking, camping, skiing, climbing, cycling, mountaineering, survival, kayaking, canoeing, whitewater rafting, etc. 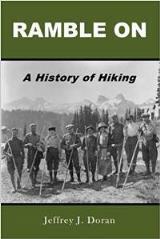 You could even throw in biographies of famous outdoor celebrities, such as Sir Edmund Hillary, John Muir, Lynn Hill, Ed Viesturs or even Grandma Gatewood. Thoughts?? Anybody with a good plan on how we could make something like this happen.....other than investing our own money!! Smokies Travel: Need a Cabin or Chalet? Peak tourist and hiking season is just about upon us in the Great Smoky Mountains. I just wanted to take this opportunity to remind readers that if you're planning a trip to the Smokies this summer, please take a moment to check out our cabin and chalets listings. The number of cabin owners listings their overnight accomodations on our site continues to expand. You'll find a wide variety of cabins and chalets, providing a wide variety of ammenities in the Gatlinburg, Pigeon Forge, Townsend and North Carolina Smokies areas. Supporting our advertisers helps support this blog, as well as HikingintheSmokys.com. Also, if you know of anyone planning a trip to the Smokies in the near future, we would really appreciate if you could forward this link onto them as well. Please click here to see all of our listings. Trailspace.com has a pretty good article on its website discussing the various emergency response systems available for hikers and other outdoor types. It also delves into some of the ethical issues surrounding the use of electronics in wilderness settings. The main focus of the article, however, is the announcement of the next-generation of emergency response systems, which is expected to significantly reduce the time needed to locate an emergency beacon, and will result in more lives saved and fewer national resources expended. For years, NASA, in collaboration with several other governmental agencies, has been working on the Distress Alerting Satellite System (DASS) which would use SAR instruments on Global Positioning System satellites. DASS would enhance the current COSPAS-SARSAT (Search And Rescue Satellite-Aided Tracking) operations by providing near-instantaneous detection and location of 406 MHz emergency beacons. The new technology sounds pretty promising. You can read the full article by clicking here. The Cades Cove Loop Road will be closed to motor vehicles until 9:00 a.m. on Thursday, June 24 to repair a pullout damaged in a recent vehicle fire. Hikers and bikers will be allowed access to the area during this short closure. A vehicle fire on the back side of the road caused damage to a pullout roughly a half mile from the exit gate. For more information on hiking to Charlies Bunion, please click here. Earlier in the year Blue Ridge Country Magazine published an article on their website titled, The Smokies You Haven't Seen. The article, written by Deborah Huso who also just published the Moon Handbook for the Blue Ridge & Smoky Mountains, discusses a couple of the lesser known areas of the park, including the drive along Parson Branch Road out of Cades Cove, and the return trip which took her to Lake Cheoah, Fontana Dam and Lake, and the Tail of the Dragon. Huso also discusses the shady streams and serenity of Greenbrier Cove and the Porters Creek Trail. I didn't know this, but Dolly Parton’s descendants were from the Greenbrier Cove area. The Southern Appalachian Highlands Conservancy recently announced the purchase of 62.5 acres in the Roaring Creek Valley of the Roan Highlands, thus preserving Golden-winged Warbler habitat, scenic views from the Appalachian Trail, and waterfalls. SAHC purchased the two tracts of land using a $95,000 grant awarded under the Neotropical Migratory Bird Conservation Act, along with bridge loans and a private donation. The two tracts totalled more than $500,000. The land includes 50 acres of rare neotropical migratory bird habitat. The conservation group was one of 37 organizations chosen throughout the Western Hemisphere to receive funding, which totaled more than $4.9 million in 2010. The organization plans to sell the land to the U.S. Forest Service for inclusion in the Pisgah National Forest, which already shares a mile long boundary with the tracts. In addition to protecting the scenic views from the Appalachian Trail, the Overland Mountain Victory National Historic Trail passes through the two tracts. Also, in 2007, Backpacker Magazine named the Roaring Creek Valley as the most scenic valley in America. Please click here to read the full press release. Wet weather has forced a two day delay for the re-opening of Clingmans Dome Road in the Great Smoky Mountains National Park. The Park website states the road is expected to re-open Monday at noon instead of this Saturday. After Monday, the project will continue until July 1, 2010 but traffic will be managed with single lane closures on weekdays. No work will take place on weekends moving forward. The $7.1 million project to resurface the seven mile stretch of road leading to Clingmans Dome is funded by stimulus dollars. Below are several photos from the three trails we hiked during our recent visit to the Great Smoky Mountains. Shenandoah National Park is hosting two “Hiking with Children” seminars scheduled for two Saturdays this summer, on June 19 and July 17 from 10:00 a.m. to noon. These programs are designed for parents that want to get outdoors to hike with their children and have a worry-free experience. Have you always wanted to hike with your family but were concerned about being safe? Do you wonder about keeping your little ones entertained and engaged? Are you making the right decisions about what to wear and what to take with you should unexpected situations arise? Guest speaker and expert hiker Jeff Alt, author of the celebrated A Walk for Sunshine, will share his expertise with you and your family. You will learn firsthand how to share nature with children for a fun and safe outdoor adventure. At the “Hiking with Children” seminars, Jeff will provide tips on how families with children can experience nature together on the trails in Shenandoah National Park. Both programs include a short hike with Jeff and park rangers on one of the park’s trails. The “Hiking with Children” program is free but reservations are requested. There is a $15-per-car entrance fee to the park, good for seven days. Saturday, June 19 is Shenandoah Neighbors’ Day and the park will waive entrance fees for those residents living in counties adjoining the park including: Albemarle, Augusta, Greene, Madison, Page, Rappahannock, Rockingham, and Warren. “Hiking with Children” is one of the Shenandoah National Park Resource Seminars designed for those who want to get to know their national park a little more personally. Seminars provide a more in-depth experience to learn from scientists, researchers, educators, and other experts about resource issues and recreational opportunities in Shenandoah National Park. Future seminars include The Basics of Family Camping, July 10 -11, and the science-based air quality seminar, What’s Up with the Air? on Saturday, August 14, 2010. For more information on hiking trails in Shenandoah, please click here. Tom Harrington, a volunteer for the Great Smoky Mountains who provides regular wildflower updates for the Great Smoky Mountains Association, is reporting that the flame azaleas atop Gregory Bald are at their peak. "Flame azaleas are at peak on Gregory Bald. The best blooms will last about another week (due to intense heat)." Mr. Harrington is also reporting seeing the following flowers in bloom on the Gregory Ridge Trail: Rosebay Rhododendron, Galax, Wild Hydrangea, Indian Pipe, Blue Eye Grass (1), Sweet Shrub, Canadian Violet, Prostrate Bluet, Starry Campion, Hawkweed, and Pipsissewa. For more information on hiking the Gregory Ridge Trail to Gregory Bald, please click here. As mentioned last week, my wife and I recently made are first foray into the Cataloochee Valley on the far eastern end of the Great Smoky Mountains. If you've never been there, it might be because it's a little difficult getting to. For one, not being near any of the major tourists centers, Cataloochee is in a fairly isolated location. Secondly, you have to drive at least 3 miles (9 if coming from Big Creek) on a winding, dirt/gravel road. Although it's a little rough with washboard in places, it's still passable for two-wheeled passenger cars if you take it easy. Cataloochee is perhaps most famous for the elk that now roam the valley after being reintroduced to the Park in 2001. A great time of year to visit is in the fall during the rut season when mature bulls bellow out loud calls, also known as bugling, that can be heard for miles. We were only able to spend a few hours in the valley on this latest visit, however, I hope to return soon and spend a lot more time exploring the area in more depth. Wildlife in North Carolina magazine is accepting entries for its annual nature and wildlife photo competition. All winners will be published in the January 2011 issue of Wildlife in North Carolina magazine. The grand prize winner will appear as the cover illustration. The winners’ photos also will be on display at the Museum of Natural Sciences and at other science museums and wildlife education centers across the state in 2011. Photographs must have been taken in North Carolina no earlier than Sept. 15, 2005. The contest is open to both amateur and professional photographers. * Wild Landscapes: The peaks, valleys, plains and beaches of North Carolina. * Outdoor Recreation: Show how people interact with North Carolina’s natural world through activities that are inextricably linked to nature, such as hunting, fishing, hiking, rock climbing or canoeing. * Animal Behavior: Anything animals do, from everyday activities to interactions with other animals to unusual behavior. * Youth Photographer, 13–17: Any of the above subjects, shot by photographers under 18. * Youth Photographer, 12 and under: Any of the above subjects, shot by children 12 and younger. The deadline for entry is Sept. 1. Rules, more information and entry forms are available by clicking here. Is the quest to become the youngest becoming dangerous? By now most people are already aware of the successful summit of Mt. Everest by 13-year-old Jordan Romero last month. As you would expect, Jordan's age has become the subject of quite a bit of controversy: Is the quest to become the youngest - in a host of outdoor endeavors - becoming just too dangerous? One doesn't need to look too far in recent headlines for an example of how younger people are flirting with disaster. Take 16-year-old Abby Sunderland who was rescued this morning by the crew of a French fishing ship in the middle of the Indian Ocean. Sunderland was trying to become the youngest person to circumnavigate the globe solo. Her brother, Zac, held the record for a little more than a month last year before it was broken by Mike Perham. Perham's record lasted until last month before 16-year-old Australian Jessica Watson completed her own around-the-world voyage. Now, according to a report on Alan Arnette's climbing blog, the search is on for someone to break Jordan's Everest record. According to the article, Sherpa Pemba Dorje is already searching for a young climber who can break Jordan's record, stating that he thinks that all Everest records should be held by Nepali climbers. One can only conclude that the quest to become the youngest will end up in disaster one day. The controversy surrounding Jordan's age right now will be nothing when compared to the media storm that will ensue after that first death. Red River Gorge named as the first "Hot Spot"
Red River Gorge is in danger of being "loved to death." That's according to the Leave No Trace Center for Outdoor Ethics, who has recently named the Gorge as its first "Hot Spot." The nonprofit organization out of in Boulder, Colorado will be providing some help to keep the Gorge clean. The selection means that trainers from the center will attend some events in the Gorge to talk with people about "Leave No Trace" camping and recreation. They'll also promote the concept though social media and contacts with universities, clubs and others who use the area. Located in central Kentucky, the Red River Gorge offers hiking, camping, rock-climbing, canoeing and other activities that draw people from around the world. The gorge is best known for its sandstone cliffs and the more than 100 natural arches within its borders, which is the greatest concentration of arches east of the Rocky Mountains. The Leave No Trace Center noted that all that recreation has resulted in "litter, trail erosion, damage to vegetation, and vandalism of property, natural features, and cultural/heritage sites." Having spent a lot of time in Red River Gorge during my late teen years, I can personally attest to the abuse heaped upon this beautiful and unique area. Alright, need some help identifying an object I saw on the Boogerman Trail. The implement in the photo below was near the stone walls of the old Carson Messer homestead, just east of the Caldwell Fork Trail junction. Does anybody know what this is or what it was used for? Not only do we have to worry about the Woolly Adelgids decimating the Eastern Hemlocks, but we now also have to worry about Discula destructiva, a fungus that is causing a serious decline in dogwood populations across North America in recent decades. An article published in the journal Forest Ecology and Management states that the fungus is decimating dogwood populations. In some cases there has been more than a 90% mortality rate. An article on Physorg.com reports that a study on the effect fire has on revitalizing the dogwood population in the Great Smoky Mountains shows that in areas where there have been two fires over a 20-year period, dogwoods have survived the disease. Nearly 19,556 acres in the Cherokee National Forest in East Tennessee would be designated as wilderness under legislation introduced yesterday by Tennessee Senators Lamar Alexander and Bob Corker. The areas were recommended for wilderness status by the U.S. Forest Service in its 2004 comprehensive plan for the forest and have been managed as Wilderness Study Areas since then. The wilderness designation provides a higher level of protection for public lands and prevents most human intrusion. The Tennessee Wilderness Act of 2010 creates one new wilderness area and expands the boundaries of five existing areas. • 9,038 acres in the newly created Upper Bald River Wilderness in Monroe County. • 348 acres added to Big Frog Wilderness in Polk County. • 966 acres added to Little Frog Wilderness in Polk County. • 2,922 acres added to Sampson Mountain Wilderness in Washington and Unicoi counties. • 4,446 acres added to the Big Laurel Branch Wilderness in Carter and Johnson counties. • 1,836 acres added to the Joyce Kilmer-Slickrock Wilderness in Monroe County. A grand opening of a new TRACK Trail adventure for children will be held at the Pisgah Ranger Station on Saturday. The Pisgah Ranger District TRACK (Trails, Ridges & Active, Caring Kids) Trail is the third new TRACK Trail opened through the Kids In Parks TRACK Trails initiative. The opening ceremony begins at 10:15 a.m. at Pisgah District Headquarters (on US 276 near Brevard). Children’s activities and guided hikes being held from 10 a.m. - 12:30 p.m.
TRACK Trail adventures are designed to help kids explore nature through the use of self-guided brochures. The TRACK program is superimposed on existing trail systems and includes numerous adventures for kids to experience. The Andy Cove Nature Trail on the Pisgah District is being used for this latest TRACK Trail. Motivational incentives or 'prizes' for participation are provided through registration on the web page, www.kidsinparks.com. In this manner, not only are participants motivated to experience the first trail, they are prompted to either return or visit another TRACK trail segment in order to achieve the next reward. Other TRACK trails are already located in Chimney Rock State Park and at the Blue Ridge Parkway's Visitor Center at milepost 384. * We ran into a lot of rain during our visit and got absolutely poured on while hiking to and from Hen Wallow Falls near Cosby. What struck me on this hike was the lack of preparedness on the part of many of the hikers we saw. Many were simply walking without any gear and wearing just t-shirts. One man in particular was returning from the falls carrying a $500-$700 camera – without a protective bag or a backpack – not even a plastic bag. I would have to say that he would be extremely lucky if his camera is still working today. * I had a chance meeting with Chris Hibbard from Your Smokies over in Cataloochee last Thursday. Chris is a volunteer with the National Park and is an absolute wealth of information on everything Smokies. * Speaking of Cataloochee, as mentioned yesterday, this was our first visit to that area of the park. I wish we hadn’t waited so long. Although it’s not quite as scenic as Cades Cove, there’s only a fraction of the traffic, thus making for a much more enjoyable experience. * Pete is dead! Since “discovering” Townsend about 12 years ago we always made it a point to visit Deadbeat Pete’s. Although not the greatest, the Mexican food was still pretty good after a long day on the trail. As if trying to live up (or down) to their name, the restaurant was shut down a couple of years ago for not paying their taxes. Apparently, as of May 20th, they’re closed again. No word on the reason why or if they’ll be returning. * With Deadbeat Pete’s out of the picture we “discovered” two restaurants that we weren't aware of in the past. Both have been open for several years, but since they sit off the main road we somehow missed them - and sorry that we have. Both Miss Lily’s Café and the Sister Cats Café are excellent dining destinations (and, much better than anything we've ever had in Gatlinburg). The pork chops and the Chicken Janee that my wife and I had at Miss Lily’s were outstanding. Miss Lily’s also offers a fairly wide selection of beers as well. Sister Cats is only open for lunch, but that’s no excuse to pass it by. Their Turkey and their Rueben Panini’s are outstanding. The very friendly owners also allowed us to sample their chicken salad, something I’ve never really been a fan of. However, this was an exception. The chef smokes the chicken and then adds dried cranberries, pecans, celery and a hint of a mild curry dressing. I’ll definitely be back to get a full order next time. * While at Miss Lily’s I got a chance to try the Highland Brewery’s Black Mocha Stout that they have on draft. I was a little concerned that the coffee flavoring would over-power the beer. Fortunately it didn’t. As a fan of stouts and porters, I thought this was an excellent beer. * Miss Lily’s also had Farmer Ted's Cream Ale (Catawba Valley Brewing Company) on tap as well. This is a light, refreshing ale - perfect for hot summer days. * One other beer I had a chance to sample for the first time was Lazy Magnolia’s Southern Pecan beer. Although this was also on tap at Miss Lily’s, I tasted mine from a bottle purchased at the Townsend IGA. The brewery states that this is the first pecan beer in the world. As a big fan of nut brown ales as well, I thought the pecans offered a unique and tasty flavor to the beer. The Roanoke Times is reporting that the 60-year-old Florida man who was found dead this past Friday at the Cornelius Creek Shelter along the Appalachian Trail in Botetourt County, Virginia, complained of shoulder and chest pains earlier in the day. A Colorado woman hiking the Appalachian Trail posted a note on a Website for trail enthusiasts suggesting she might have been the last one to see the man alive. Christy Cleaver of Fort Collins said she and a fellow hiker saw the man at the Cornelius Creek Shelter during lunch Friday. It "was his second day on trail," she wrote in the online forum at whiteblaze.net. "He sounded like he may have struggled up the incline that day but seemed fine when we spoke to him. He was talkative and in good spirits, happy to be on trail. Must have been natural causes. Our condolences to his loved ones." Officials are still trying to find relatives of the man before releasing his name. Here's a first hand account from the hiker who found the man at the shelter. As the article mentions, the Florida hiker's death is the second on the Appalachian Trail in less than a month. On May 8, a 26-year-old hiker from Michigan was found dead at the Icewater Spring Shelter in the Great Smoky Mountains. Results from the autopsy and toxicology report still haven't been released. This past weekend my wife and I returned from another trip to the Great Smoky Mountains. On this visit we accomplished several firsts - including our first elk sighting in the Smokies, as well as our first visit to the Cataloochee area. Last Wednesday we also had a chance to ride a bicycle around Cades Cove for the very first time. Let me tell you, other than actually walking it, cycling the loop road is absolutely the best way to see the Cove. Not having to sit in bumper-to-bumper traffic offers a completely different experience as well as a different perspective of Cades Cove. You can ride at your own pace and enjoy the peace, quiet and tranquility of this truly special place. Now I’m not recommending riding the loop at anytime. I’m referring to taking the opportunity to ride the loop when it’s closed to motor traffic on Wednesday and Saturday mornings. With brand new pavement recently laid down, we originally intended to bring our road bikes to the park. However, due to some roof rack issues, we decided to just go with some rentals from the Cades Cove Campground Store – a decision we really regretted. The mountain bikes we rented were in pretty bad condition. In addition to being forced to ride in an extreme forward position, I had shifting problems during the entire ride. The front brakes on Kathy’s bike didn’t work properly - effectively doubling her stopping distance and increasing her risk of crashing. Also, the quick release on her seat stem failed on several occasions resulting in her seat dropping while riding up hills. When we returned we told the attendant about the problems and told them that they really needed to take better care of their bikes. Honestly, until the store corrects these problems, you’re probably better off digging out that old rusted Huffy (with the banana seat) out of your attic. We did discover one advantage with the rentals, however. Riding mountain bikes allowed us to ride on Sparks and Hyatt Lanes – something I highly recommend in order to explore the interior of the Cove. Below are a few photos from our ride. Over the next several days I’ll be sharing hike reports and other photos from our visit. Need cycling gear? Both the Nantahala Outdoor Center and Altrec Outdoors offer a wide variety of gear to get you properly outfitted for your next ride. WBIR posted a report on their website last night detailing how biologist and volunteers from groups such as Trout Unlimited recently discovered several large rainbow trout swimming in the streams near Tremont. Rainbow trout are a non-native species that were introduced to the Park by loggers looking to off-set the loss of native brook trout before the Park's establishment. In recent years the Park has been trying to eradicate rainbows on the Lynn Camp Prong and restore the native brook trout. "We have found some rainbows and some big ones," said Bubba Allen, volunteer from Trout Unlimited. "It is pretty clear that people have been bringing rainbows back up here so they can fish this stream illegally." The size of the fish combined with other identifying characteristics clearly indicates that the adult rainbows were recently stocked in the streams by man. "There were some rainbows around 14 inches in length," said Allen. "Someone had to have brought them up here." You can read the full article by clicking here. There are a couple of interesting comments at the bottom of the article in which people are suggesting that maybe the rainbows are coming back on their own..... Not being a fisherman, I have no idea if these comments have any merit. The Asheville Citizen-Times is reporting that a person is dead following an accident at Rainbow Falls in Gorges State Park yesterday evening. The waterfall is off Whitewater Road on the Horsepasture River in Transylvania County. The incident was reported at 6 p.m., a Transylvania County emergency dispatcher said this morning. No information on the identity of the victim has been released. BlueRidgeNow.com reports that the person fell 150 feet off of the falls and onto rocks. The U.S. Forest Service is heading the investigation into the accident. The death is the second in a little more than a week at a Western North Carolina waterfall. A 41-year-old Wake County man who was on vacation died at Elk River Falls in Avery County on May 29. The Roanoke Times is reporting that a 60-year-old Florida man hiking the Appalachian Trail was found dead Friday afternoon, the Botetourt County Sheriff's Office said. Authorities received a call from another hiker who reported finding a body about 2 p.m. Friday, Maj. Delbert Dudding said. The hiker had stopped at the Cornelius Creek Shelter and noticed a man who appeared to be sleeping but was unresponsive. A journal was found with the body, and it described plans to hike the trail until September. Entries within the past few days detailed pain and medical issues the writer was having. There were no signs of injury or foul play, Dudding said. The U.S. Forest Service is proposing increasing or establishing user fees at some recreation areas in the Nantahala and Pisgah National Forests. The agency is asking the public to comment on the proposals, which include entrance fee increases to the Roan Mountain Recreation Area and the Sliding Rock Recreation Area, as well as the implementation of a fee for the first time at the Wolf Ford Campground in Pisgah National Forest. Other proposals include user fee increases at beaches, shooting ranges and several off-highway trail systems. For more information on the proposals, and to comment, please click here. A new course offered by the Shenandoah County chapter of the American Red Cross will familiarize people with how to survive in the great outdoors. The first 16-hour wilderness and remote first-aid course will take place June 12-13 from 8 a.m. to 5 p.m. at the Shenandoah County Park. The course, sponsored by the Shenandoah County Parks and Recreation Department and Blue Canoe Crew, is designed for Scouts, outdoor enthusiasts and people who work in remote wilderness environments. The course also offers enhanced content and topics to meet OSHA’s Best Practices for Workplace First Aid Training Programs—particularly important for occupational environments that are impacted by federal regulations. The course is based on the Boy Scouts of America Wilderness First Aid Curriculum and Doctrine Guidelines and has been reviewed and/or supported by the American Camp Association, American Canoe Association, National Recreation and Park Association, and JCC Association. Course participants must be at least 14 years of age and possess current certification in adult CPR/AED. To find out how you can participate in Wilderness and Remote First Aid training, contact the Shenandoah County Chapter at 540-459-2913 or visit shenandoahredcross.org for more information. The Asheville Citizen-Times is reporting that a woman was killed when she was struck by lightning while hiking on Max Patch Bald just northeast of the Great Smoky Mountains. The victim was struck during a thunderstorm around 4:30 p.m. Friday as she hiked in an open area on U.S. Forest Service land near the Tennessee line, said Capt. Levi Roullard of the Spring Creek Fire Department. The woman, whose name wasn’t immediately released, was dead at the scene. A Madison County dispatcher said she was from out of state. Roullard said that if you’re caught outside during a thunderstorm, it’s best to stay out of open areas and seek a lower elevation if possible. Also avoid getting under tall trees. The hiker's death occurs just days after a single lightning strike in Yellowstone National Park injured nine people. All nine visitors were on the boardwalk or on walkways around Old Faithful Geyser when a small thunderstorm cell produced a single lightning bolt. Click here to read the full story. The Asheville Citizen-Times is reporting that a hiker was rescued yesterday after falling on some rocks near the base of a television tower on Mount Pisgah. A call came in around 2:15 p.m. reporting that a hiker had fallen from the WLOS-TV tower and was still clinging to it, according to emergency scanner traffic. Once on the scene, however, rescue crews learned that a man in his mid-70s had hiked to the base of the tower and fallen on some rocks, Upper Hominy fire chief Steve Hensley said. Hensley said he did not know the man’s name or how far he fell, but said he was unaware of any injuries other than some shoulder pain. The man was hiking with a group of people and one of the other hikers provided first aid until help arrived. The accident happened about 1.5 miles from the Blue Ridge Parkway over rugged terrain. Crews used a tram used by WLOS to access the tower to move the injured man to an ambulance in Haywood County, Hensley said. A three-mile section of the Blue Ridge Parkway west of Asheville will be closed Monday and Tuesday while workers trim trees and remove debris from ice storms this winter. The section affected is from Milepost 405 near the N.C. 151 intersection west to Milepost 408 near Pisgah Inn. The road will be closed 8:30 a.m.-3:30 p.m. daily. Contractors will also be doing cleanup work in the broader area from Milepost 383 at N.C. 191 to Milepost 411 at Wagon Road Gap and that work may cause brief delays. The parkway will remain open in those areas except for the Milepost 405-408 closure and from Milepost 399 to 405, which is closed long-term because of slide repair. For information on hiking opportunities on the Blue Ridge Parkway, please click here. The Great Smoky Mountains Institute at Tremont is recruiting help to track populations of the 230 different species of birds in the Great Smoky Mountains National Park. Thirty-four of the species living in the Park are considered endangered, threatened or otherwise of concern. Banding sessions typically began at 6 a.m. as volunteers help erect nets. During the next six hours, the nets are checked every 40 minutes, birds are carefully removed and metal bracelets, marked with nine-digit numbers, are attached to their legs. Detailed notes are taken including age, gender and breeding condition. After the birds are inspected they are released. The bands have a unique number on them, which is registered with the Bird Banding Laboratory in Maryland. If a bird is ever captured again, or if it is found dead, the finder should report the bird's status and band number to the laboratory. Representative Richard Floyd (R-Chattanooga) announced earlier in the week that the Cumberland Trail Conference has been selected to receive a grant for $67,400 from the Regional Trails Program (RTP). The funds will support the Big Soddy Bridge Project. The grant recipients were selected through a scoring process, with careful consideration given to the projects that met the selection criteria and expressed the greatest recreation need. Funding for these grant awards comes from the Recreational Trails Program through the Federal Highway Administration and is administered by Tennessee Department of Environment and Conservation, Recreation Educational Services Division. Next Saturday, June 12th, the Smoky Mountain Field School will be offering a Basic Visual Tracking course. Lead instructor for the course is Joe Kelley, a 30+ year National Park Ranger veteran. Visual tracking is one of many methods used to locate missing persons. The course will introduce you to several skills involved with tracking and locating persons in an outdoor, or "wildland" situation. These include utilizing clues and "signs" left by the person being tracked, as well as times of day, weather, and terrain. The immediate goal of basic visual tracking is to attempt to determine the direction of travel of the person(s) being sought. The course runs from 9 a.m. to 3 p.m., and there is a $49 fee. You can find more information and enroll in the course by clicking here. Experience a year's worth of Smokies moments in this short film from the Great Smoky Mountains Association. Take a look back to the many places 2009 has taken the GSMA video blog. Although Gregory Bald is an excellent destination anytime of the year, mid to late June is the absolute best time to make the trek to the summit. In addition to its excellent views into Cades Cove, Gregory Bald provides for one of the best flame azalea shows in the world during this time period. This isn't an easy hike - the trail climbs over 3000 feet, and the roundtrip hike is 11.3 miles - but it's well worth it. As mentioned in a previous post, I would definitely rate this as one of the top 3 hikes in the Smokies. The last gasps of winter in the Yosemite Valley. Check out this amazing video showing the "giant slurpee" that forms when "frazil ice" collects on Yosemite Falls and flows down Yosemite Creek each spring like a lava flow. It's June, which means mountain laurel is getting ready to bloom at the top of Spence Field. The hike to Spence Field out of Cades Cove is probably one of the most underrated hikes in the Smokies. I would go so far as to say that the combination of Spence Field and Rocky Top would rate as one of the top three hikes in the Great Smoky Mountains. Gregory Bald would definitely be included in that group, with Mt. LeConte via Alum Cave, Mt. Cammerer or Charlies Bunion rounding out the top three. Spence Field provides for some outstanding views of the North Carolina Smokies, but if you still have the energy, hike another 1.2 miles to Rocky Top for an even better vantage point - possibly the best in the park. For more information on Spence Field, please click here, and for more information on Rocky Top, please click here. The map for the western section of the Park includes the Cades Cove and Elkmont areas. The map for the eastern section includes Clingmans Dome, Mt. LeConte and the Cataloochee areas. Of course you can still purchase the original map that includes the entire Park. Thanks to the blog reader that was kind enough to drop me an email informing me of these new items. The Great Smoky Mountains updated their list of trails, backcountry campsites and shelters that have posted bear warnings, and have added several new locations to the list this morning. Please note that posted "Bear Warnings" simply means that these are areas where bears are active. Please read What Do I Do If I See A Bear? for important safety information about bears.